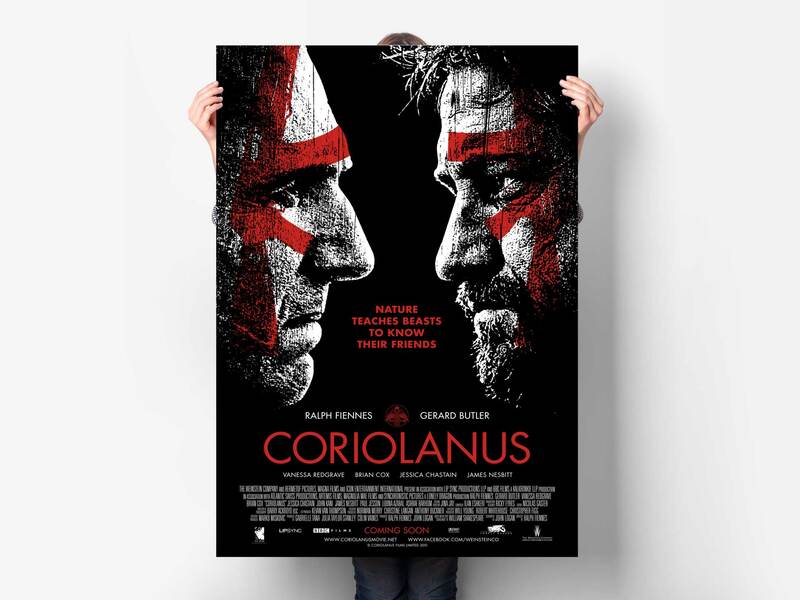 For the Weinstein Company’s release of Coriolanus, we wanted to highlight the dramatic face off between the two leading men, Ralph Fiennes and Gerard Butler. The film, based on a play by William Shakespeare, follows Caius Martius “Coriolanus” (Fiennes), a powerful Roman general, who is at odds with the city of Rome. Coriolanus is forced to turn to his sworn enemy, Tulles Aufidius (Butler), for the help he needs to take revenge on the city. The face paint depicted on the faces of the characters in the poster illustrate the modern day setting in which the film takes place.